A mix of unpitted medjool dates and unpitted zamli dates. 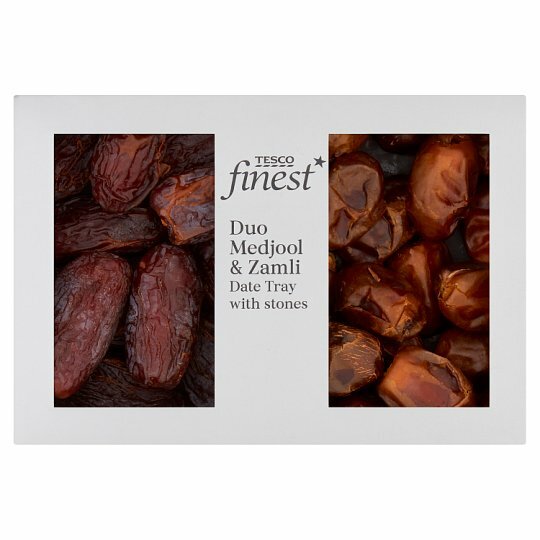 Medjool Date (50%), Zamli Date (50%). Caution: This product will contain fruit stones.